You figure since I named my child after Jordan I need to have him somewhere in this Black History Month Spotlight. What more fitting of a day to talk about the greatest player ever – period, than on his birthday. Michael Jordan was born in Brooklyn, New York, on February 17, 1963. His parents, James and Delores Jordan, moved to Wilmington, North Carolina when he was still a toddler. Jordan has two older brothers, one older sister, and one younger sister. Jordan loved to play baseball when he was a child, and also played some basketball and football. His love for basketball began when his older brother, Larry, continuously beat him in one-on-one pickup games. As with any challenge Jordan faces, this determined Michael to become a better player. Jordan played basketball for Laney High School in Wilmington, North Carolina. Ironically, Jordan was cut from the varsity team as a sophomore. Instead of giving up after failing to make the team, Jordan used it to spur himself to greater achievements, practicing hour after hour on the court. “Whenever I was working out and got tired and figured I ought to stop, I’d close my eyes and see that list in the locker room without my name on it,” Jordan said, “and that usually got me going again.” He eventually made the team and led it to the state championship. Jordan accepted a basketball scholarship from the University of North Carolina. 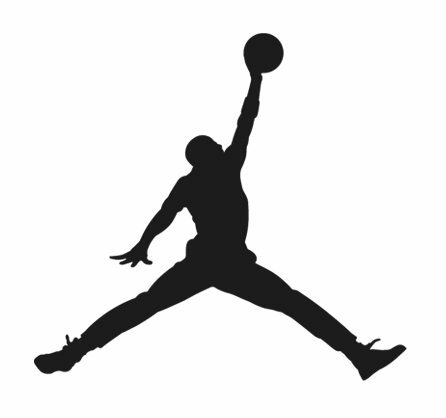 As a freshman, Jordan’s ever-growing popularity began when he scored the game-winning basket in the 1982 NCAA championship game against the Georgetown Hoyas. Jordan was selected college player of the year in the 1983-84 season, and led the US Men’s Basketball Team to an Olympic Gold Medal in the 1984 Summer Olympics under coach Bobby Knight. Jordan left college and entered the NBA in 1984, he was selected third in the draft (First pick: Houston–Hakeem Olajuwon; second pick: Portland–Sam Bowie) by the Chicago Bulls, a team that had won only 28 games the previous season. Jordan became an immediate impact in the league and proved that he belonged among the elite players. He finished his rookie season as one of the top scorers in the league, averaging 28.2 points per game, was named Rookie of the Year, and also made the All-Star team. Jordan led the Bulls into the playoffs in every season, but didn’t make the NBA Finals until 1991, where he led the Bulls to their first of three consecutive NBA Championships (1991, 1992, and 1993). Jordan played in the 1992 summer Olympics with the original Dream Team, perhaps the greatest team ever assembled. It was the first time NBA players were allowed to compete in the Olympics. Michael Jordan averaged 12.7 points per game as the USA Dream Team went 6-0 to win the gold medal, Jordan’s second in his career. There were some troubling events that followed his third NBA Championship. Jordan’s father, James Jordan, pulled over one night to take a nap on his way home, and was murdered by a couple of armed robbers in North Carolina. The NBA also began an investigation into allegations that Jordan had illegally bet on NBA games. He was eventually cleared. These events eventually caused Jordan to lose his motivation and the sense of having to prove something as a basketball player, and he felt it was time to step away from the court. Jordan sought a new challenge, to play professional baseball. He signed a minor league contract with the Chicago White Sox. He was assigned to the Birmingham Barons, affiliates of the Chicago White Sox, and played an outfielder position. His presence in the minors grew large numbers in attendance, but his batting was uncharacteristic of Jordan’s athletic skills. In his first summer with the Barons, he batted .202 with 114 strikeouts in 127 games. Later in the year he batted .252 with the Scottsdale Scorpions in the Arizona Fall League. By November of 1994, the Bulls had retired his number and erected a life-size statue of him in front of the United Center. On March 18, 1995, Jordan announced “I’m back!” He ended his short-lived career with baseball and rejoined the Bulls near the end of the 1994-1995 regular season, eventually losing to the Orlando Magic in the Eastern Conference Semifinals. “He didn’t look like the old Michael Jordan, ” said Orlando’s Nick Anderson. Jordan once again had something to prove to the world, that he was still the greatest basketball player to ever play the game, and that he would be even greater in the season to come. Michael Jordan led the Bulls to an astonishing 72-10 record, the best regular season in the history of the NBA. Jordan led the league in scoring with 30.4 points per game, was named the All-Star MVP, the league MVP and the NBA Finals MVP, as they went on to win their fourth NBA championship (1996). He was selected in 1996 as one of the 50 Greatest Players in NBA History. Jordan and the Bulls continued their dominance into the next two seasons, winning two more consecutive championships (1997 and 1998), becoming the first team in NBA history to repeat-the-threepeat (1991-1993, 1996-1998). Jordan earned All-Star MVP and league MVP honors in 1998, led the league in scoring in all three years of his comeback (1996, 1997, and 1998) and won six NBA Finals MVP awards for every Finals the Bulls have competed in. The breakup of the Bulls dynasty by Jerry Krause led to Jordan’s second retirement. 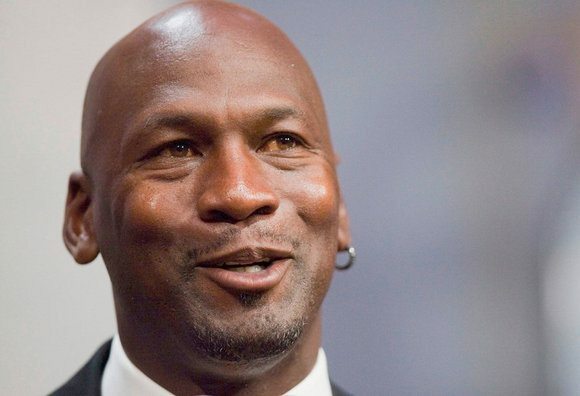 Jordan stated he would not play basketball for anyone else other than Phil Jackson, and mentioned he would like to spend more time with his wife, Juanita, and their three children, Jeffrey, Marcus, and Jasmine. Michael Jordan later joined the Washington Wizards as President of Basketball Operations and part owner in January 2000. “I’m going to have my imprints and footprints all over this organization,” said Jordan. “I look forward to turning this thing around. Right now we’re an underachieving team.” Jordan disappointedly witnessed his team win 19 games in the 2000-2001 season, his first full season as President of Basketball Operations, after winning only 29 games the season before. He completely overhauled the roster, hired Doug Collins, a coach Jordan played for once before in his early years with the Bulls, and began the Wizards rebuilding phase. Jordan achieved another moment in his spectacular career, scoring his 30,000th career point on January 4, 2002 against his former team, the Chicago Bulls. Unfortunately, Jordan was never able to lead his Wizards into the postseason as a player. He retired for a third and final time after playing his final game on April 16th, 2003. He finished his career with 32,292 points, and a career average 30.12 ppg, the best in NBA history. Jordan has now officially passed the torch to the younger stars. “Now I can go home and feel at peace with the game of basketball,” said Jordan.